HEAVY ITEM. NO CASH & CARRY. WE DELIVER BY OUR TRUCK. Two blowers included and require 16 amp electric supply. Height requirement is 40" to 70" tall. 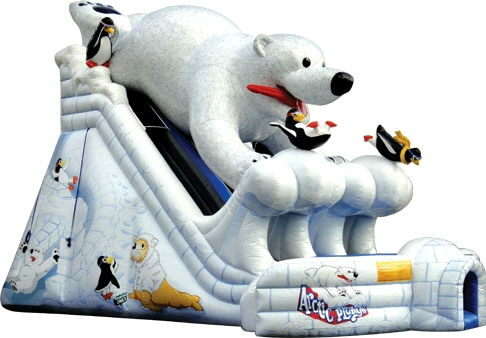 * Please call us for any questions on our arctic plunge slide w/bear 39x21x28 foot tall rentals in Ft. Wayne IN, Warsaw, Syracuse, Auburn, South Bend, Indianapolis IN.